ERP designed for today, engineered for tomorrow. Are the inefficiencies and lack of flexibility of your ERP slowing you down? Are you able to make decisions decisively and with confidence? Can you quickly identify the cost cutting strategies that would provide the biggest impact? Are you able to manage business relationships and meet today’s expectations for high quality customer service? 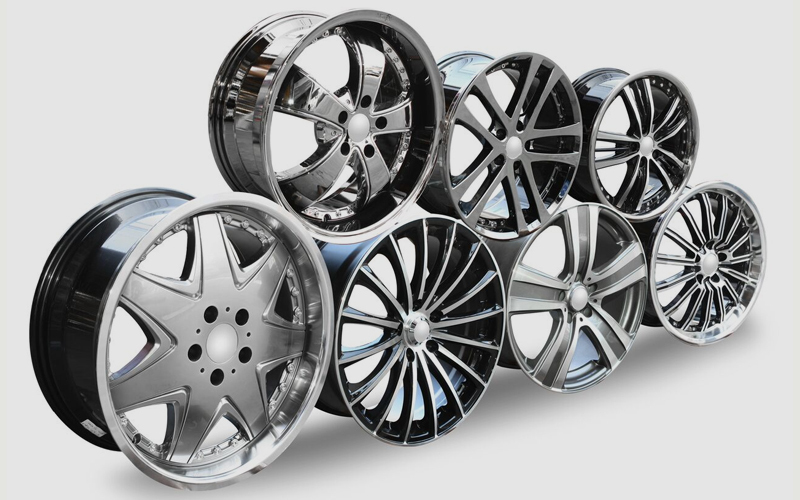 Automotive manufacturers, suppliers and OEM’s need to continually transform their businesses to keep up with the industry’s fast-pace, increased complexities and customer demands. We understand your industry challenges. 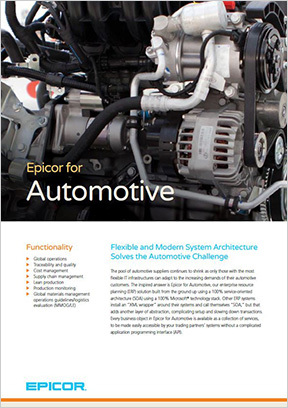 Let MIS show you how Epicor ERP provides the scalability and flexibility needed for you to stay ahead of the dynamic automotive industry and your competitors. 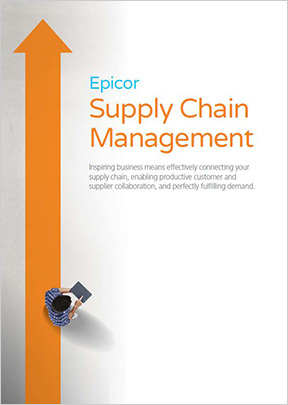 Epicor ERP technology and tools will help you go beyond today’s higher expectations of serving customers with greater efficiency. You know what you do best, but do you know where you can cut costs, be more efficient, or make the highest profit margins? Or where you should invest next? That’s where the experts at MIS can help because we know how to configure Epicor ERP so you know what needs to be done for you to be your most competitive. Flexibility and scalability to grow and change with you. Transparency for real-time insights into your business operations and supply chain. Access to data within or outside of Epicor ERP for complete data analysis leading to better decisions and opportunity analysis. Manufacturing improvements for greater efficiencies and cost savings. Collaboration for better internal and external communications. With MIS, your Epicor ERP will be configured for today with tomorrow in mind. Tough competition makes efficiency, inventiveness, flexibility and decisiveness mandatory. Manufacturing Supply Chain Management (SCM) and complex financials are what we do best. You can count on MIS to help you build your Epicor ERP solution to help you meet your business goals and objectives and to be by your side to support your team in the long run. During a time when manufacturers are anticipated to rely on fewer suppliers, you need to do everything you can to remain a key player in the automotive industry. Contact MIS today to learn more about Epicor ERP.